When Does Forsythia Bloom in Zone 6? When forsythia (Forsythia spp.) prepares to bloom in U.S. Department of Agriculture plant hardiness zone 6, the shrub doesn't look to a calendar. Forsythia blossoms appear when rising spring temperatures warm the surrounding soil. Once the soil at a 4-inch depth maintains temperatures near 55 degrees Fahrenheit for several days, forsythia's yellow flowers burst forth. Because forsythia blooms respond to warming soil, flowering begins on different dates from year to year. The Missouri Botanical Garden sits in USDA zone 6, where extreme winter lows average between zero and minus 10 F. The Garden's annual records reflect the impact changing weather trends have on forsythia blooms in this zone. 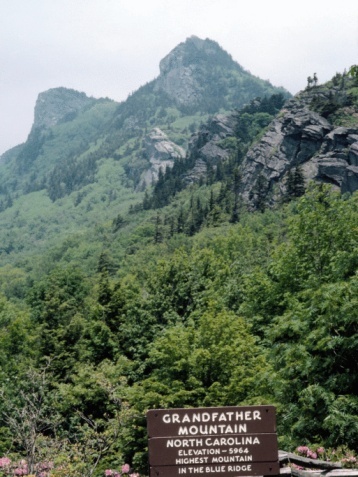 Between 2004 and 2011, forsythia started blooming as early as the second week in March, but some years saw blooms delayed until April's first week. 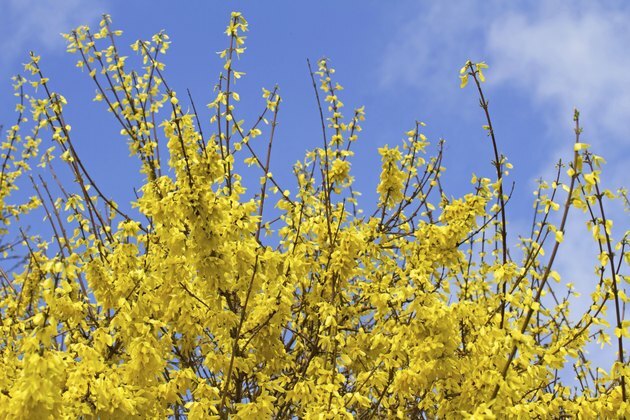 With such variability, many gardeners wait for the forsythia flowers to come out and time other spring lawn and garden tasks accordingly. Weather also affects the quality of forsythia blooms and the length of their brilliant yellow display. Depending on variety, forsythias may be hardy from USDA zones 4 through 9. Unseasonably cold winter temperatures can damage forsythia's early-flowering buds and leave the shrub without flowers. It's not unusual to see forsythia flowering only on the lower stems. Buds that enjoyed snow cover flower on schedule, while winter's exposed branches remain bare. When blooms do appear, moderate temperatures extend forsythia's flowering season. During some springs in USDA zone 6, forsythia blooms have lasted only a week. Other years have enjoyed blossoms for six weeks. Pruning doesn't have an impact on soil temperatures and natural bloom times, but it does affect whether forsythia blooms. Just as winter cold steals away flowers, untimely pruning leaves forsythia without flower buds. Forsythia's early-spring flowers form from buds developed during the previous summer and fall. When it's pruned right after flowering, forsythia has time to form next year's flower buds. Late-season pruning removes the buds that have formed, sacrificing spring blooms. For general pruning, follow forsythia's natural arching shape and prune right after flowering ends. Use sharp bypass pruners, and sterilize your blades with household disinfectant before and after you prune each bush. When spring weather leaves you waiting, speed the arrival of USDA zone 6 blooms. Forsythia stems force easily indoors a month or more before their expected bloom time. Watch for the buds to grow plump, and cut stems on a day with air temperatures above 32 F. The closer you are to bloom time, the faster stems flower indoors. Forsythia generally can be forced in early February in USDA zone 6. Cut stems at least 12 inches long, and soak them overnight in a tall bucket of warm water. Then recut and arrange the stems. Expect forsythia flowers within two to three weeks. When Does Mountain Laurel Bloom? How Long Do Dandelions Take to Go to Seed? 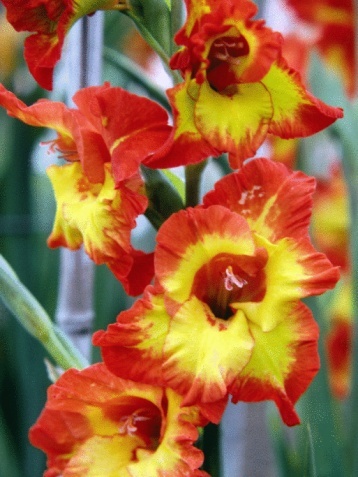 When Do Gladiolus Flowers Bloom?